As a single parent, there are times I feel overwhelmed and inadequate. Other times, at the end of a busy and stressful day, I feel like a Victorious Warrior! 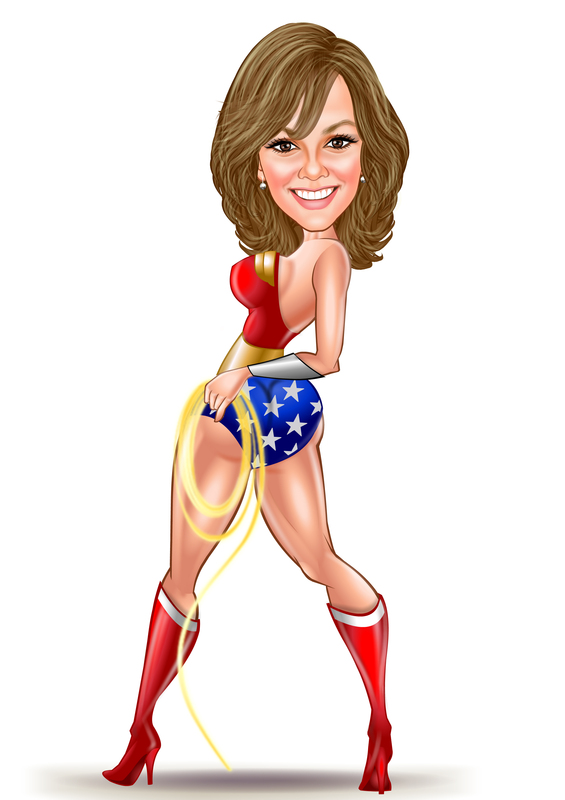 Like me, how many of you have found yourself yelling in frustration….”I’M NOT WONDER WOMAN!” ? For those GOLDEN GABBERS well into their “Golden Years,” I’m sure you remember the hilarious clips of Hee-Haw’s Roy Clark popping up behind the counter at “The Empty Arms Hotel” to deal with any and all requests and complaints. Housekeeper? He simply changed the hat. Manager? Changed the hat. Room Service? Hat change. Operator? Fast hat switch. That’s how I feel every single day. A typical week has me juggling a variety of challenges and roles; mother, daughter, sister, friend, CEO, CFO, marketer, publicist, attorney, judge, accountant, school counselor, stylist, chauffeur, cook, dishwasher, plumber, yard-keeper, housekeeper, bookkeeper, coach, nurse, electrician, repairman, painter, pool cleaner, snake killer and dog groomer to name a few of the hats I have hidden behind my kitchen counter. I am your basic all-around Conundrum Solver. All this while also balancing my inner Mother Teresa and Raquel Welch. The movie “Wonder Woman” tops 2017’s Tweets. It is soaring passed $300 million at the box offices. The film reveals how the lead character, Diana, was groomed and prepared as a young girl to take on fierce attackers. She was equipped with the physical and emotional skills needed for the ultimate battle between GOOD and EVIL, which was in her future. Like the movie character, I can see how God has been preparing me, all my life, for the many different roles and battles I now face and will face. My love and talents, which he put in me since childhood for music, designing, fashion, make-up, puppetry ministry, as well as my experiences hunting rabbits and squirrels, working with my dad on his construction jobs, helping mother cook, opening a business of my own at the age of 19 and all that goes with it, beauty pageant competitions, modeling, teaching piano to young kids, standing with who I saw at the time as an abandoned underdog, promoting, stretching a dollar until it screamed “UNCLE!” God had a reason for it all. He was going to use it. He was preparing me. God also had a reason to allow all the hateful and hurtful things which left scares and unforgettable lessons. Those wounds caused callouses. I see now how I was in need of thick layers. They toughened me up for the battles I have just went through and those to come between GOOD and EVIL. Take an inventory of your own life, your likes, talents, events, history, hurts, victories... I hope you see how God is working, moving, directing. There is a battle between GOOD and EVIL taking place around the World, in and around MY World and YOUR World as well. Arise and take up your shield. Do your part. Decide what side you are fighting on and for. You can not serve two masters and you can not choose to hide. Are your actions heroic or as a villain? While this Super Hero makes mistakes, feels the sting, needs comforted and has to be reminded to “BUCK UP” at times, I am thankful that God believes in me and has chosen and prepared me to be in HIS army. All HE ask is for me to fight my fight, to live my life, to use and invest my talents for HIS glory, to run MY OWN race. 10 Finally, be strong in the Lord and in his mighty power. 11 Put on the full armor of God, so that you can take your stand against the devil’s schemes. 12 For our struggle is not against flesh and blood, but against the rulers, against the authorities, against the powers of this dark world and against the spiritual forces of evil in the heavenly realms. 13 Therefore put on the full armor of God, so that when the day of evil comes, you may be able to stand your ground, and after you have done everything, to stand. 14 Stand firm then, with the belt of truth buckled around your waist, with the breastplate of righteousness in place, 15 and with your feet fitted with the readiness that comes from the gospel of peace. 16 In addition to all this, take up the shield of faith, with which you can extinguish all the flaming arrows of the evil one. 17 Take the helmet of salvation and the sword of the Spirit, which is the word of God.18 And pray in the Spirit on all occasions with all kinds of prayers and requests. With this in mind, be alert and always keep on praying for all the Lord’s people.